From the Supreme Products Professional Collection this quiet aerosol spray in 400ml is a de luxe mane & tail dressing which produces body, glamour and shine. Sparkle can be used as an all over body 'extra'. 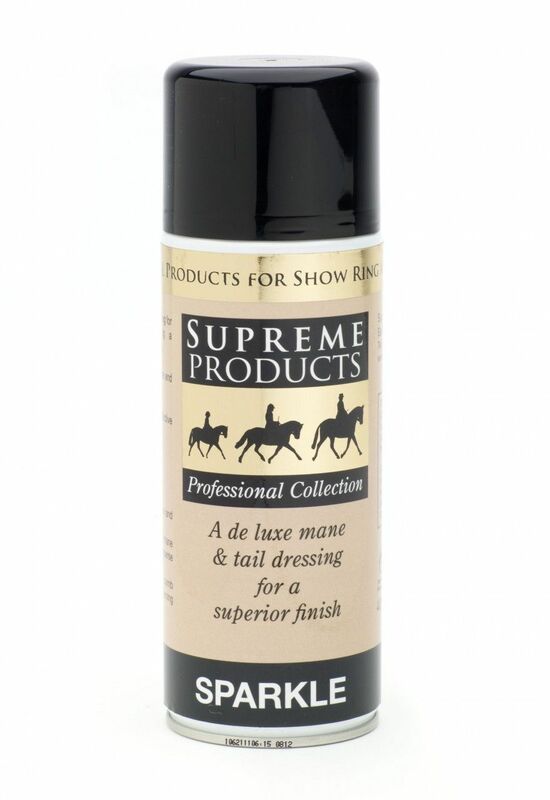 This product is fantastic for use on sunny days and under artificial light - a 'must' for evening performance! Does not contain glitter.